It seems that bamboo cases are rather popular in the gadget world. Previously, we showed you a bamboo and walnut case for your iPhone 4 that was sure to turn heads and please our more style-concerned readers. 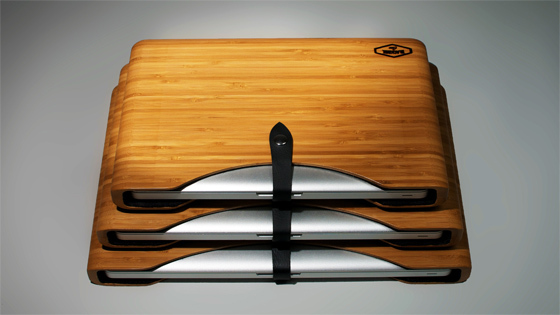 Now, we bring you Blackbox Case‘s new bamboo cases for your Apple Products. Inspiration hit Blackbox Case creator, Lance Atkin, when his protective neoprene laptop case failed to actually protect his laptop. After bringing his broken machine home, he designed the first Blackbox Case in Oak. Now, in its newest incarnation, the Blackbox Case will be available in Bamboo as well! …That is, if Blackbox Case can reach its goal of $25,000 (USD) by Thurday, September 15. As of this post, Blackbox Case has managed to drum up $21,903 in pledges with only eight days left to go until the final decision comes. 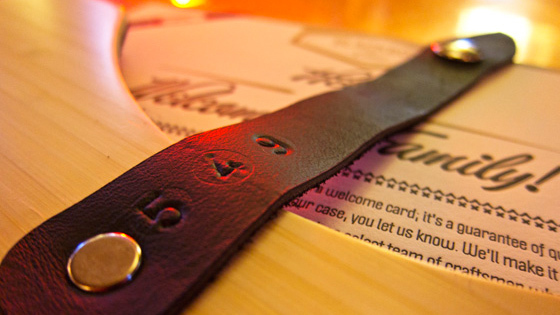 To encourage fundraising for the venture, Blackbox Case has turned to the Kickstarter community and is promising to individually number and laser cut the leather straps on each case for those who have donated to the cause. Possible features include special laser engraving on the actual bamboo case itself, also depending on how many donations Blackbox Case manages to raise. You can also pre-order cases through your pledges and donations. This depends, of course, on the actual amount you wish to donate. $1 or more – A free brewery tour of the world’s largest brewery redeemable in Golden, Colorado. $9 or more – Your own Family Blackbox Case card with a “Neoprene is for old people with bad knees” sticker. … And 3 free beers at the brewery. $29 or more – All of the above, plus a high quality American Apparel Blackbox Case T-shirt, as well as a more personalized tour given by Blackbox Case. $79 or more – iPad 2 Case! First come first serve. 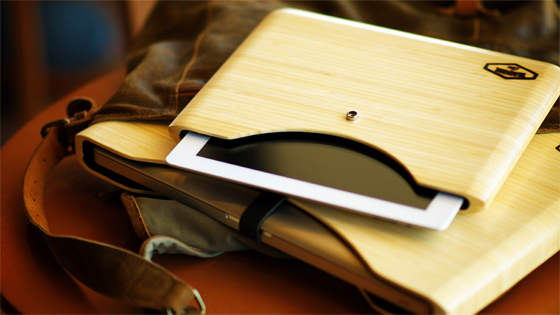 $89 or more – iPad 2 Bamboo Blackbox Case. $99 or more – 11″ MacBook Air Bamboo Blackbox Case. $109 or more – 13″ MacBook Air or Pro Bamboo Blackbox Case. $119 or more – 15″ MacBook Pro Bamboo Blackbox Case. $129 or more – 17″ Macbook Pro Bamboo Blackbox Case. $189 or more – Two Hitter Combo Pack with an iPad 2 and MacBook Pro case. 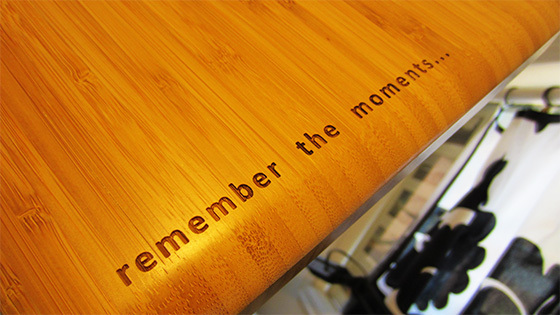 $499 or more – Hand delivered any Bamboo Blackbox Case, custom laser engraved, to your door (as well as kind hospitality from Blackbox Case in the form of dinner and beers). $999 or more – Laser Engraver 10 Pack. Pick 10 cases, all laser engraved in any size, and Blackbox Case will ship them to your location. $1,999 or more – Adventure Colorado Pack! 2 personalized cases of your choice, a personalized tour of the facilities, and a weekend adventure with local experts. Two days and three nights of accomodation for you and a friend, transportation to and from DIA and two amazing days of Colorado adventure.